Having loose skin and weakened muscles with the abdominal area of ​​the body is often a result of extensive work or loss. It can cause self-consciousness for many people, but abdominoplasty surgery can offer a surgical solution. 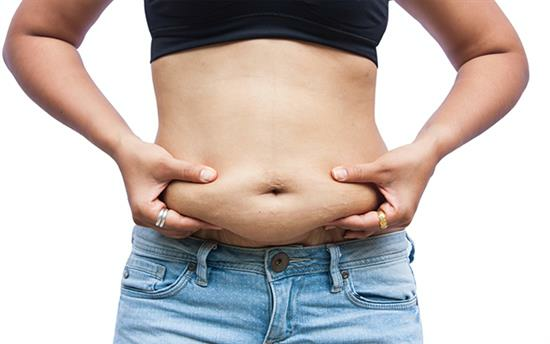 Abdominoplasty is a surgical procedure that is more commonly known as "tummy-tuck". Abdominoplasty can give patients the opportunity to restore their stomachs by tightening the abdominal muscles and removing excess skin. Abdominoplasty surgery is traditionally available in two main techniques; full and mini abdominoplasty. Both treatments follow a similar method of care but focus on different areas of the stomach to achieve different results. A mini-abdominoplasty is, therefore, more suitable for patients with less severe stretching of the skin and muscles, while a full abdominoplasty focuses on the stomach as a whole. Both mini and full abdominoplasty treatments are performed under general anaesthesia. During full abdominoplasty surgery, an incision will be created from one hip to the other just under the patient’s bikini line. Once the skin has been folded back the surgeon will begin the muscle tightening and contouring process, and after this is completed the skin is folded back, pulled into place and stitched into place. Like all cosmetic procedures, both surgical and non-surgical, abdominoplasty comes with benefits and risks that should be carefully measured in order to make an informed decision as to whether abdominoplasty surgery is right for you. While there are some risks and side effects to think about when considering abdominoplasty surgery there are many positives that can come from this procedure. Patients generally regain a dramatically tighter-looking and flatter stomach and with good diet and exercise after surgery, the results will be long term. Patients may also regain confidence as a result of abdominoplasty treatment leaving you able to regain your confidence. Potential risks and side affect you may experience as a result of undergoing abdominoplasty treatment include scars, bleeding, infection, delayed healing and change or loss of sensation of the skin. It is important to be close to your ideal weight since complications are higher if you are overweight and often the advice may be to go away and return when you have lost sufficient weight for the procedure to be undertaken safely. Also, smokers are at high risk of complications and surgery is always denied until you have stopped smoking. If you would like more information of the risks involved with abdominoplasty we suggest talking to Mr Chana in depth about this during your consultation, or for more in-depth abdominoplasty advice watch this BBC interview with Mr Chana and a patient. When considering abdominoplasty surgery - or any other cosmetic treatment - then finding a cure is of utmost importance. Finding a surgeon that can not be taken care of in your care, can be confusing. The best option is to choose a recognized and well-respected plastic surgeon. Mr Jag Chana is a plastic and reconstructive surgeon and is well-known by both professionals and patients for his attention to detail and extensive aftercare post-surgery.